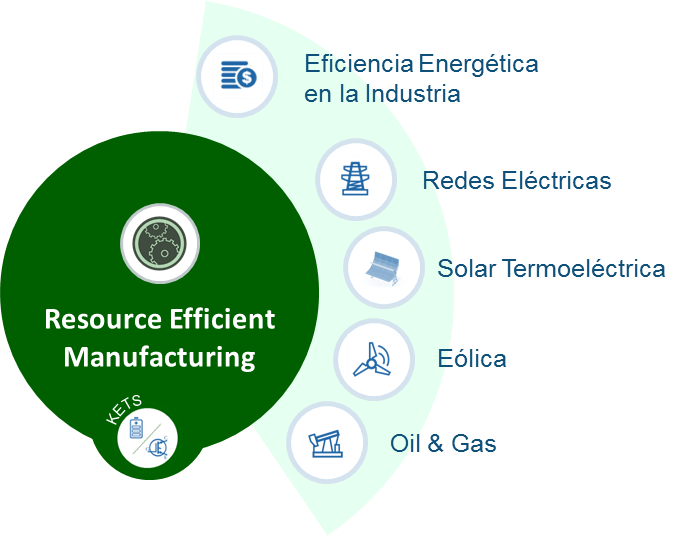 Basque RIS3 smart specialisation for the Energy sector is implemented through the EnergiBasque industrial technological development strategy. The mission of the strategy is to support the consolidation of a competitive network of scientific-technological companies and players within the energy sector, thereby contributing to the smart specialisation of the Basque economy and becoming a source of wealth, employment and quality of life for the Basque Country. 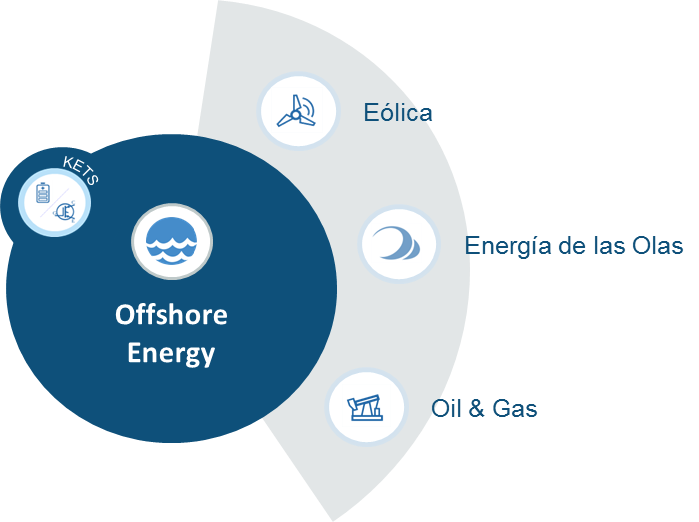 GO1: To consolidate the leading Basque companies as technological references in their respective energy areas, generating a pull effect throughout the value chain centred on high added-value products and services. GO2: To develop business activities in new emerging energy fields, in which the industrial fabric and the scientific-technological players already have competitive advantages that provide a good starting position. GO3: To boost the integration of key transverse technologies for the development of value solutions in priority energy fields. 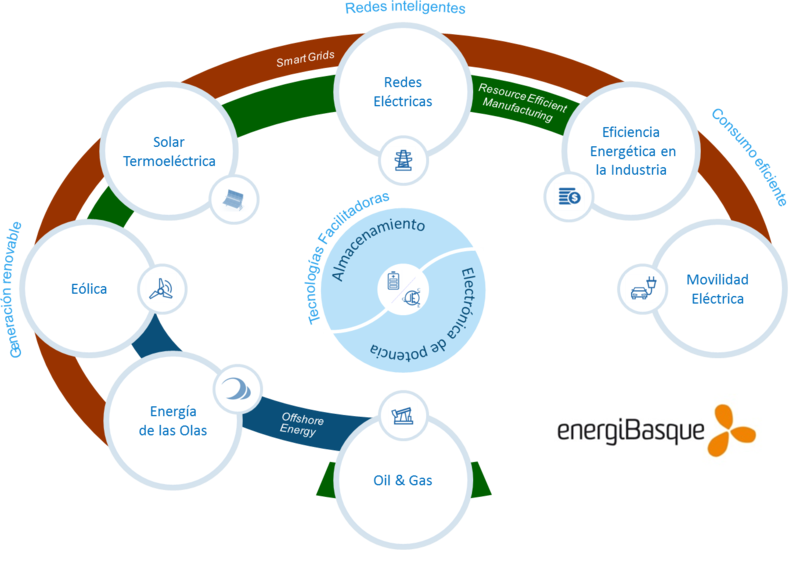 Implementation of the EnergiBasque strategy is carried out from a public-private collaboration space, chaired by the Energy Cluster . 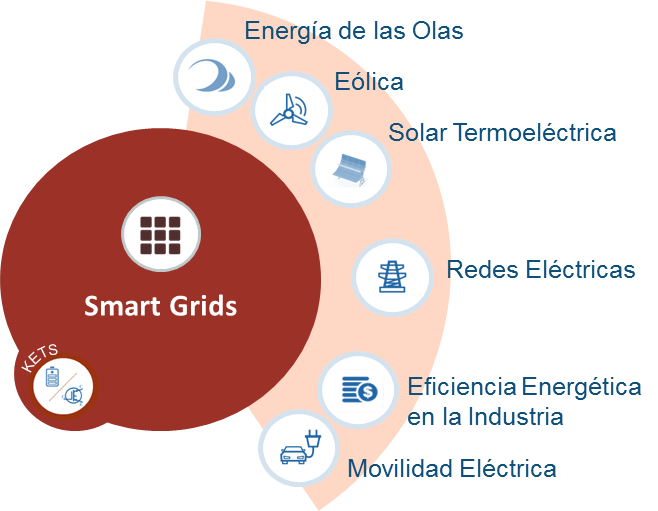 For development of its contents, EnergiBasque is structured around 7 strategic areas, 2 key enabling technology areas (KETs) and three New Value Chains (NVCs): Smart Grids, Offshore and Resource Efficient Manufacturing. The three New Value Chains (NVCs): Smart Grids, Offshore and Resource Efficient Manufacturing, have arisen from the interconnection of several traditional value chains, both in the energy sector and other related sectors. 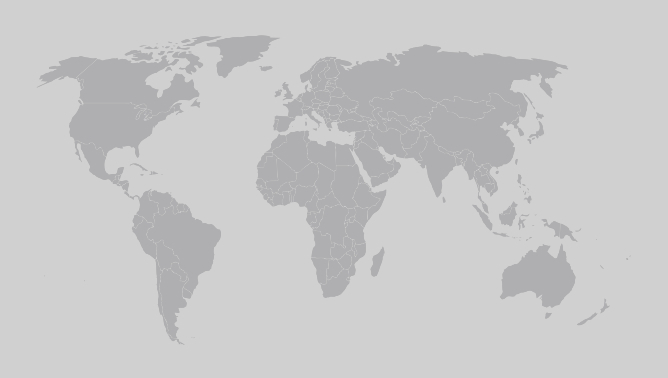 These NVCs integrate technological lines, transverse actions and strategic initiatives which are of interest to several sectors and facilitate company orientation towards new business opportunities, especially in the case of SMES, with less capacity for dedicating resources to new approaches and whose development often involves knowledge generation outside the traditional scope of companies and pursuing promotion in access to new markets and business models through systematic collaboration between organizations in different value chains, fostering an entrepreneurial discovery process.